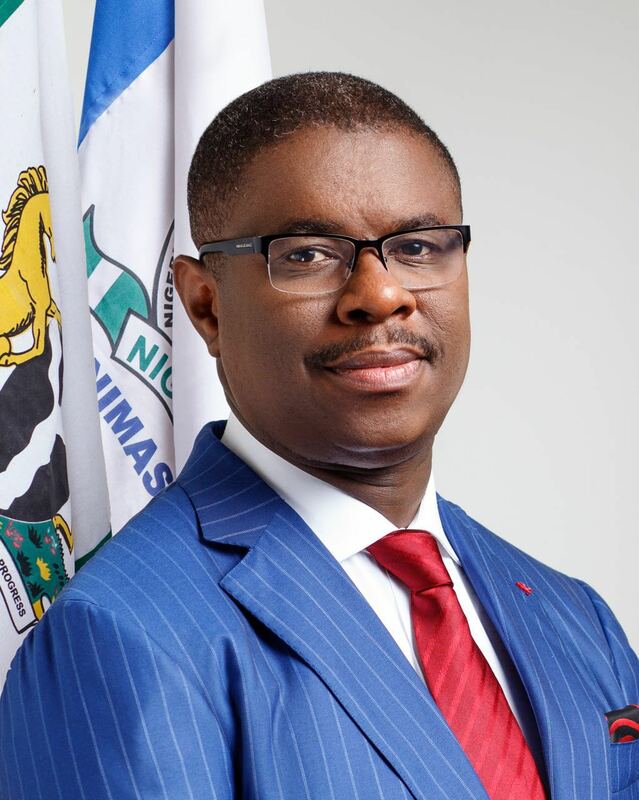 The Director-General of the Nigerian Maritime Administration and Safety Agency (NIMASA), Dr. Dakuku Peterside, at the weekend, expressed confidence that establishing the Nigeria Maritime University (NMU), Okerenkoko, marks the launch of an institution of critical importance to the economic development of the country. Dakuku stated this during the maiden matriculation of the university, which held at its takeoff site at Kurutie, in Gbaramatu Kingdom of Delta State. He said the school fulfilled for Nigeria a major economic dream of having an institution that would produce high-end manpower for its growing maritime industry, while helping to develop the locals and build lasting peace in the Niger Delta. Dakuku said, “This is the fulfillment of a dream. Recall that many years ago, precisely in 2013, NIMASA initiated the idea of a Nigerian maritime university to fill a gap. We identified that if you want to grow your maritime industry, there are three important elements. Dakuku commended the Federal Government’s financial commitments to the university, but said more needed to be done. “We appreciate the grant by the Federal Government to support the numerous grants given by NIMASA, acting also on behalf of the Federal Government. “But, without a doubt, we need to put more money here because we need a lot of infrastructure apart from the human resource. We have a good number of professors. We need to put a lot of infrastructure in place,” he stated. He explained that NIMASA would intensify engagements with the Budget Office, Office of the Vice President, and other stakeholders on how to collaboratively fund the NMU. The Vice President, who was represented by Senior Special Assistant to the President on Niger Delta Affairs, Chief Edobor Iyamu, said the commencement of academic activities at the premier maritime university in Nigeria was another example of how the President Muhammadu Buhari government was “walking the talk in the Niger Delta region, which is not being viewed in terms of its past, but in terms of its potential. In his own remarks, the Pro-Chancellor of the University and Chairman, Governing Council, Chief Timipre Sylva, commended NIMASA’s vision and support for the university, saying the institution has demonstrated capacity to play a key role in the global maritime industry. The Vice Chancellor of NMU, Professor Ongoebi Maureen Etebu, disclosed that the Federal Government had fully implemented the N3.4 billion takeoff grant for NMU in 2018 budget. Etebu, who appreciated NIMASA for initiating and encouraging the university, and the DG, Dr. Dakuku Peterside, added, “A maritime university is of strategic importance to the socio-economic growth of this country. NMU, which is solely owned by the Federal Government, started academic activities in April 2017. Last Saturday’s matriculation ceremony was a combined exercise for the 2017/2018 and 2018/2019 students. Among dignitaries that attended the matriculation ceremony were Acting Governor of Delta State, Barr. Kingsley Otuaro; senator for Delta South, Senator James Manager; House of Representatives member for Eseodo/Ilaje Federal Constituency, Ondo State, Hon. Akinjo Kolade Victor; House of Representatives member, Burutu Federal Constituency, Delta State, Hon. Julius Gbabojor Pondi; representative of the National Universities Commission (NUC); and traditional rulers from Gbaramatu Kingdom.